Every Monday I share an excerpt from my Energy Drink Guide. This week, the excerpt comes from PART ONE: Are They Safe. This week’s excerpt is important because everyone should know what to do if ever they experience a serious reaction to a supplement, food, or beverage. This isn’t JUST for caffeinated supplements or beverages either. If you want to read my whole (rant?) 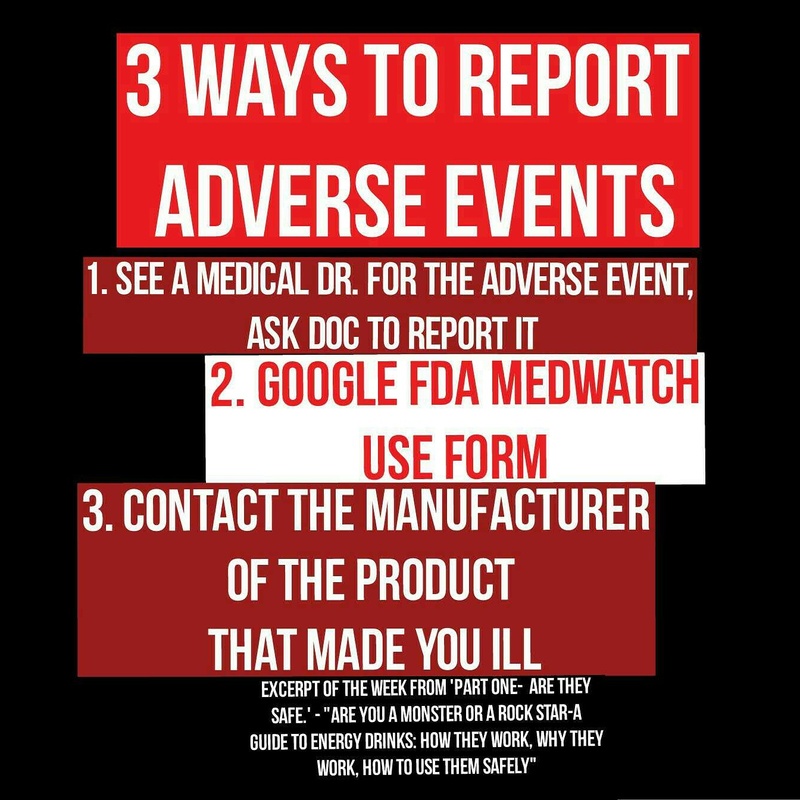 discussion on how important and yet how incomplete Adverse Event Reports can be, you can find my book on Amazon and wherever books are sold.